Mariah Carey performed live today in Central Park for Good Morning America's Summer Concert Series. She opened up the concert with her classic hit Always Be My Baby, and experienced a wardrobe malfunction during the song. Check out the performance below. 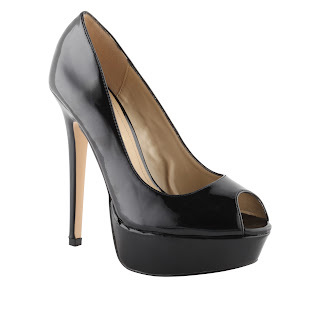 Get peep toe pumps like Mariah's from Aldo or Heels.com.